I don’t normally celebrate St. Patrick’s Day, but I’ve always found Ireland enchanting. For one thing, it’s the primary source of the world’s redheads. But, there’s something about the island nation that’s still mystical and enigmatic. Perhaps, if I actually visited the place, I might end up with a different opinion. But, a cousin of mine who’s been there more than once has nothing but good things to say about Ireland. Part of the fascination surrounds the life of the very man whom we celebrate today – St. Patrick. 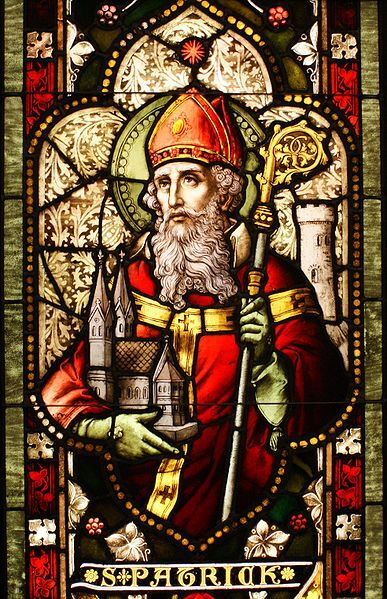 Not much is known about his early life, but oddly – and this will destroy many leprechaun dreams – St. Patrick wasn’t even Irish; he was born around A.D. 390 across the sea in that evil Protestant empire more commonly known as England. He supposedly grew up in an aristocratic Christian family, surrounded by servants, and professed no interest in proselytizing. Legend declares – as legends are wont to do – that Patrick was kidnapped around age 16 and taken to Ireland where he was forced to tend sheep on a cold forbidding mountainside. After about 7 years, Patrick heard a voice in his dreams telling him to escape; whereupon he found passage on a pirate ship back to England and reunited with his family. Then, he apparently had another dream where that voice, or perhaps another voice told him to return to Ireland and try like hell to convert those heathenous pagans to Christianity. He became ordained in the Anglican Church and traveled back to Ireland to begin his mission. 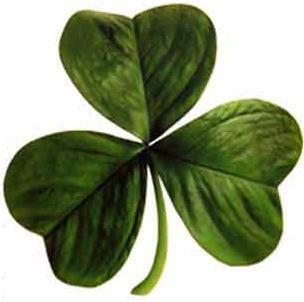 He allegedly used a shamrock, a 3- leaved plant, to explain the Holy Trinity to the Irish people. After about 30 years of evangelism, Patrick died on March 17, 462, and was buried in Downpatrick. By the 9th century A.D., the Irish had come to revere Patrick as their patron saint. In the early 1600’s, Saint Patrick’s Day became a holy day for Roman Catholics in Ireland. But, it wasn’t until 1903 that St. Patrick’s Day became an official public holiday in Ireland. So, to all my Irish friends and acquaintances, here’s to you – whether you’re Catholic or Celtic!